Creating instability • Utah Republican says he doesn't believe Moscow is picking a favorite in presidential race. 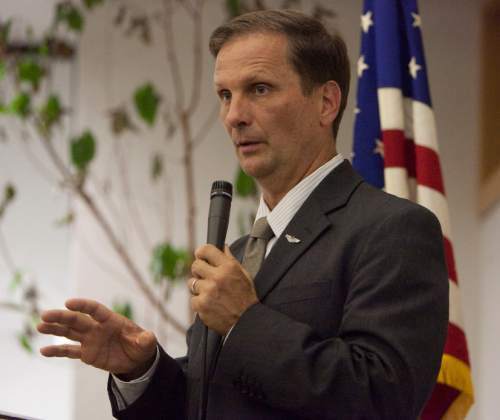 Steve Griffin | Tribune file photo Rep. Chris Stewart, R-Utah, says there's a real danger of Russian cyber attacks attempting to interfere with U.S. elections. 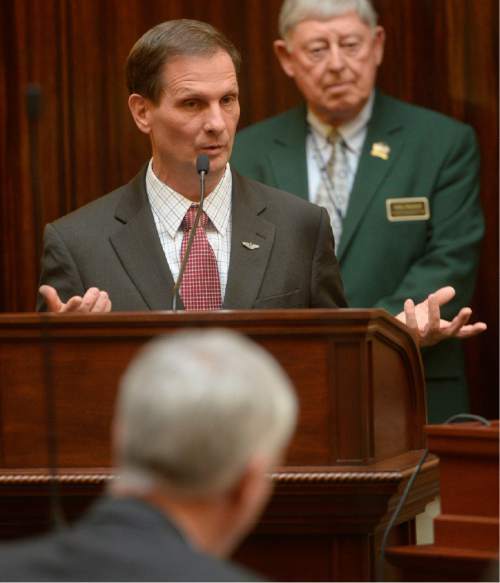 Al Hartmann | The Salt Lake Tribune Utah Congressman Chris Stewart speaks before the Utah House of Representatives Thursday Jan 28. Washington • Rep. Chris Stewart, a Utah Republican who sits on the House Intelligence Committee, returned from Russia this week, suspecting that the country could be making a play to impact the U.S. presidential race. "We know they&apos;re trying to meddle in nearly everything we do. I really mean that," said Stewart, noting that the number of Russian-led cyberattacks was "astounding." "I&apos;m not suggesting that they&apos;ve indicated or that we have indicators that they&apos;re necessarily going to go after our election process, but they did it in Norway, they did it in the Ukraine, they&apos;ve done it in a couple other Western nations, so why in the world wouldn&apos;t we presume the same thing in ours?" Democrats have said Russia targeted their national organizations in an effort to help Republican presidential nominee Donald Trump, who has praised Russian President Vladimir Putin and whose former top aides had close ties to the Russian hierarchy. The Democratic National Committee, and other party organizations, were hacked, and emails from the group, many embarrassing to party officials, were leaked to the news media in June. The FBI is investigating the breach. Stewart, who is supporting Trump, said he doesn&apos;t believe Russia is targeting one party over another and noted that Republican officials have been warned to be on guard, too. "I don&apos;t think they care who the next president is. I don&apos;t think they view one person as easier to work with or against," Stewart said. "What they want to do is create uncertainty and instability and the idea among the American people that the elections were tampered with. And if they can do that, they can delegitimize the [incoming] president." Stewart, who made the trip to Russia with a few staffers, but not with any other members of Congress, also visited Pakistan, where he said he heard complaints about $300 million in military aid that had been cut by the United States out of concern the country isn&apos;t fighting terrorist groups to the extent it should. Stewart said he went to listen and, when asked, wasn&apos;t going to make his own determination about that. "It&apos;s a mixed bag. If you talk to them, they&apos;ll promise you the moon," Stewart said of Pakistani officials. "The reality is the Taliban has way more access across the Pakistan border than they should."